Cook anything, anywhere with this awesome titanium portable stove! 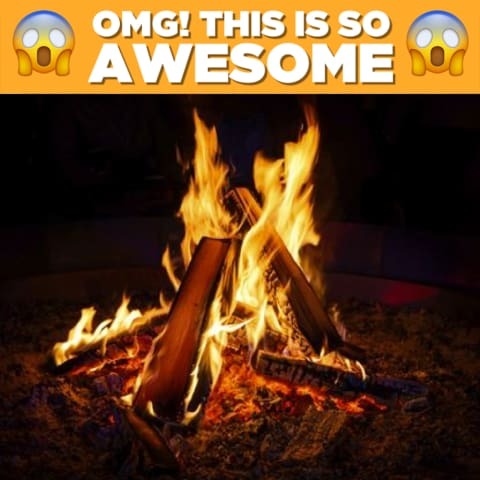 Camping is an escape from the busyness of our lives that takes us on adventures in the beautiful outdoors where we can disconnect from technology and reconnect with Mother Nature. 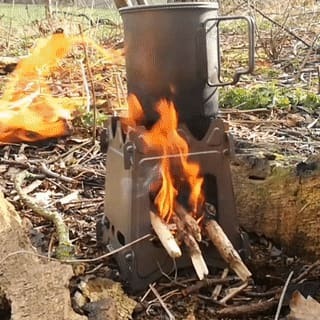 Cook a meal with easy-to-find, unlimited fuels like wood, twigs, branches, leaves, and paper to cook a meal wherever you set up your camp, no chemical emissions, no carbon footprint. 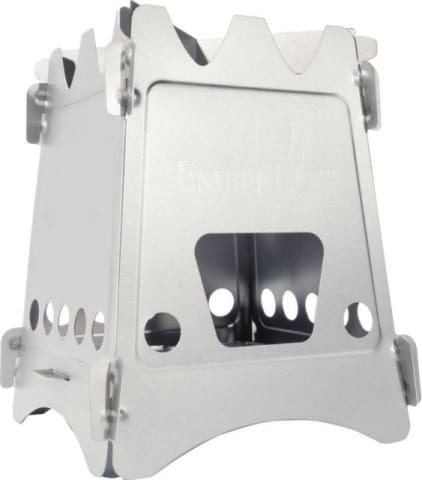 A great stove for backpackers and other minimalist outdoorsmen, this Titanium Stove gives you great cooking performance that packs easily. Made of strong titanium panels, this extremely-lightweight wood stove consists of 4 panels that come together in seconds to give you a strong wood burning platform. Fold the stove flat and stuff it in a pocket or backpack to start low-carbon travel. Weighing less than 5.45 oz., this renewable fuel stove holds pots and pans securely without any wobble while cooking and then packs flat for easy transport. 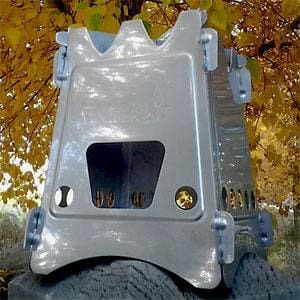 Great for campouts, backpack adventures, survival kits, and emergency kits, this handy stove lets you save the space and weight of a traditional backpack stove and fuel canister. Includes crossbar adapters.